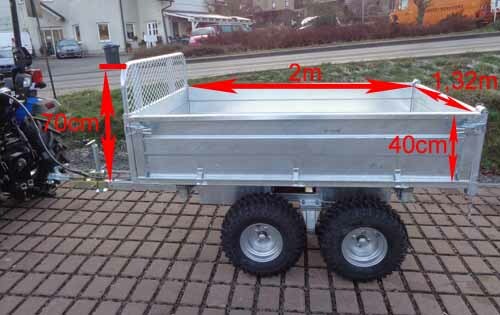 The weight of the trailer is 410 kg. 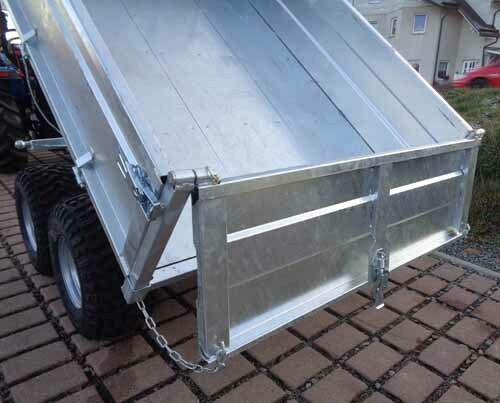 The single-axle trailer / tipper is especially suitable for compact tractors Kubota, Yanmar and Iseki and all other tractors. 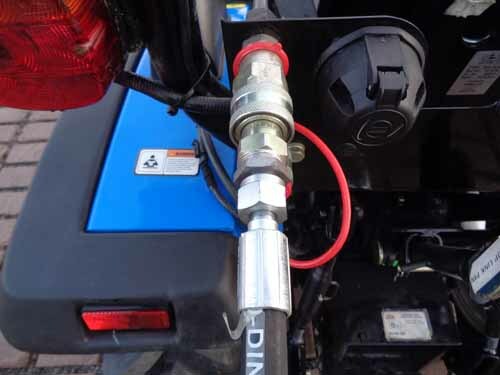 Of course, designed for large Quad's and ATV. 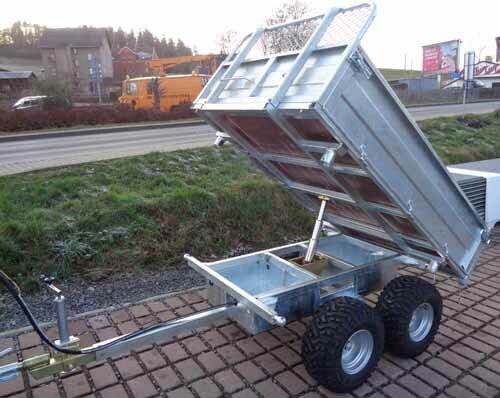 The single axle dump trailer is suitable for combination with a mini tractor or compact tractor for towing, ideal for private use or small business use. 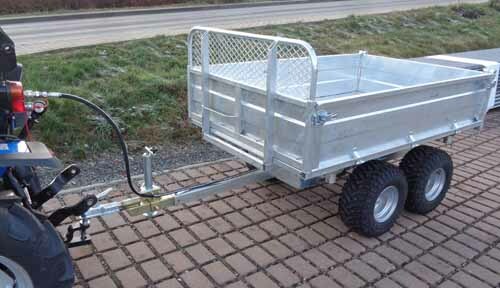 The trailer is equipped with a car hitch and is completely galvanized. 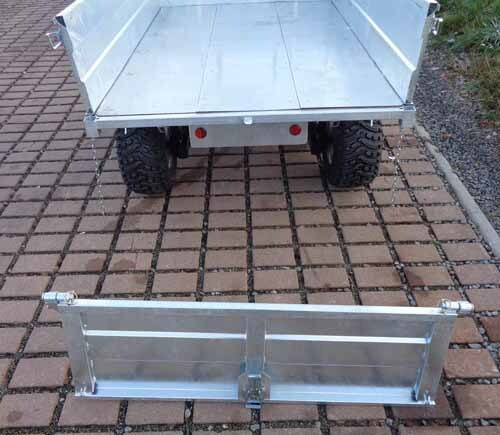 All side panels can be folded. 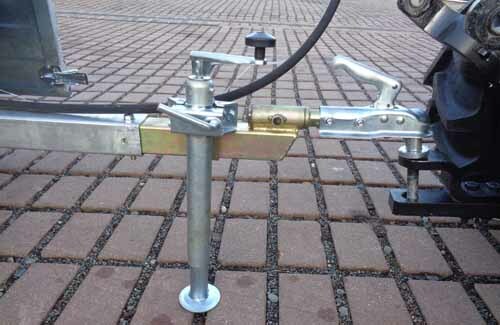 The side supports can be easily removed. 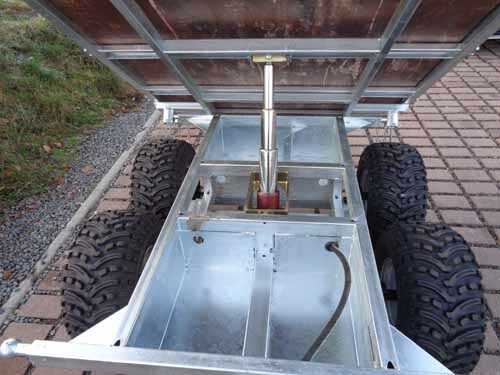 Furthermore, each side wall can be easily pulled out of the hinges. 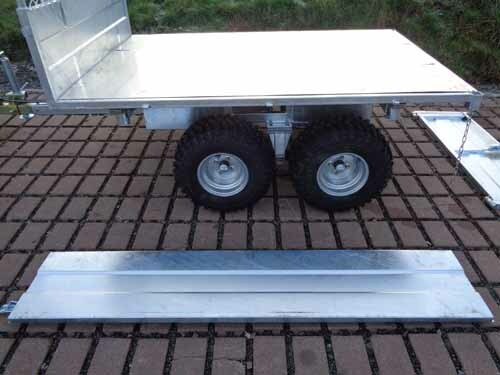 The maximum weight is 1.5 tons specified by the manufacturer. 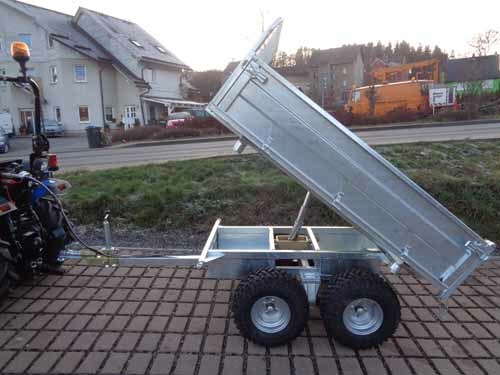 However, the trailer is in the public transport sector in Germany only usable with a total weight of 750 kilograms, according to German regulations. 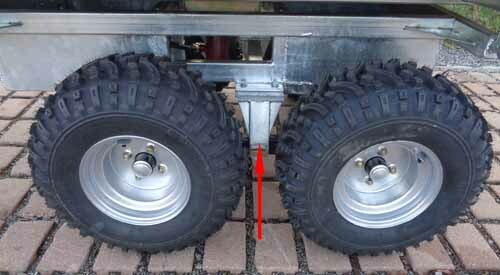 Pay attention to safety on the weight ratio between small tractor and trailer load capacity and when used on inclines. 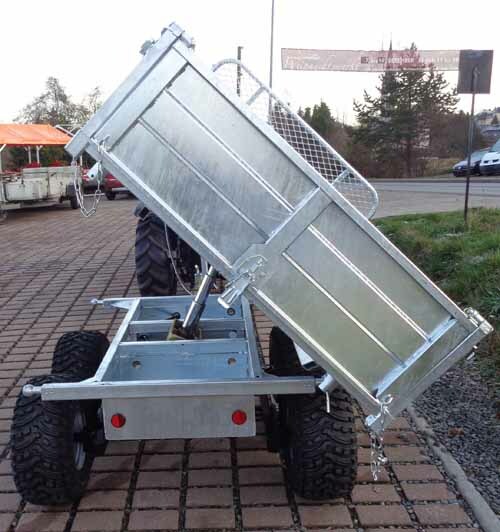 A street legal / DEKRA certificate is available for 550.00 Euros. The floor is made of wood panels that are planked with galvanized sheet metal.